Top 10 ways for students to build good credit scores. One of the greatest things about our country is the ability to become financially independent, but learning how to do this can be challenging. Building good credit is a must; it will help you qualify for loans, rental, car insurance, cell phone plans, and credit cards. The first step is to be responsible with your spending habits. In this article we wanted to give you some tips on building good credit so you can get off to a excellent start on this credit score building journey. 1. Get a secured credit card or student credit card. When you are new to the credit application process it will be hard to get a credit card. Typically banks will not extend credit to you without some good credit history. This can be very aggravating. So secured credit cards and student credit cards are great ways to start the building credit process. 2. Become an authorized user on your parent’s credit cards. Until recently FICO considered this a controversial practice and they have decided to continue allowing also know as piggy backing somebody else’s credit to help your credit. This is a great way for parents to monitor there kids spending habits while at college. Once they are doing well with this process then you might consider applying for a student credit cards or maybe a retail credit card with a low spending limit. 3. Use credit cards conservatively. When spending on your credit cards make sure you can pay what you charged on your credit card off that month. If you start to wrack up credit card debt you will drop your credit scores. So make sure you only charge on your credit card what you are able to pay off that month. 4. Select the right credit card for you. Once you have established some credit on your own, make sure you do some research on the credit card you are applying for. Not all credit card offers are the same. Some credit cards have yearly fees and some don’t. Some credit cards may have other perks that might be beneficial for your situation. 5. Use credit card for emergencies. Some financial experts recommend that you use your credit card only for emergencies when first starting out with credit. Using your new credit card is part of the credit score building process, but make sure at first you are real careful in regards to your charging habits. You might consider using your new credit card for situation where you need new tire or a cell phone goes south on you. Once you are custom to a credit card payment than at that point charge a little here and there on it. 6. Get a cell phone in your own name. When you are building credit you want to establish as much credit as possible in your own name. Sometimes creditors will not allow you to get a cell phone in your own name without a big deposit, but getting a cell phone in your own name builds good credit. 7. Don’t apply for several credit cards at one time. Once you have credit cards in your own name don’t go hog wild with applying for a bunch of credit. You really only need a couple of credit cards, that is it. Student really only need one credit card to start out with. 8. Pay all your bills on-time. This is one of those common mistakes youngsters make when first starting out. If you are late on anything it will affect your credit. Make sure you don’t pay anything late. Even your internet bill could affect your credit if not paid. 9. Use your student loans for education expenses only. Student loans are a great way to establish good credit. They are also a way to ruin your credit. So when you get a student loan make sure you pay it on-time and use that money for educational purposes only. Once you are done with your education, consolidate those loans into one small payment. 10. Paying down credit card balances. If for some reason your credit card balances get high during your time in school, make every effort to pay down your balances. You should never have credit card debt higher than 30% of your allowed credit limit. If you are not sure where you stand with your credit it would not hurt to pull a recent copy of your free credit report today. A educated student saves in the long run. If you have a credit score below a 580 it might be extremely hard to get a FHA loan in this current lending market. But there are other options when it comes to getting government loan. Even though FHA will insure loans below a 580 credit score the secondary market that buys and sells mortgage paper has set the stage as to what will be bought and sold in this market. When loans are bought and sold in the secondary market, investors watch a particular borrower’s performance. If they notice a particular borrower is not performing well on the secondary market they pull the plug on financing that type of risky borrower. So it’s essentially like watching your own stock portfolios performance. If that particular portfolio of yours is not doing well you stop investing your money in that stock. Mortgage loans work the same way. Over the last 6 to 7 years FHA loans were being written for all types of borrowers including borrowers below a 580 credit score. Until now there was never a credit score requirement for FHA loans. Most banks are requiring a middle credit score of 580. There are exceptions to this rule. Some banks will allow a FHA loan to go through with a credit score below a 580 if the bank or mortgage company gets an automated approval. An automated approval is a piece of software that banks use that either says “yes” or “no”. Let’s assume you have a credit score of 578 and your loan file is ran through this software and it says ‘yes”, as long as that particular lender will allow a credit score below a 578 with a automated approval you are good to go. Some banks have internal rules for loans they will approve as well. So just because you have a credit score below a 580 does not mean all hope is lost for an approval. If you have a credit score below a 580 here are some factors that could possibly help to get an automated approval. These are some key factors that could possibly get you an automated approval with low credit scores. If you have recently been denied for a mortgage loan, get a recent copy of your free credit report and start working on your credit. The higher your credit scores the better terms you will get anyways. Bad credit does not go away; it just lingers over your head like a dark cloud. What ever your situation is we can help you get in the right direction. I’m an educated, honest, hard working woman who has had a difficult two years. I went through two (brief) periods of unemployment and my credit has suffered. I was never educated on money matters and I didn’t take the responsibility to educate myself until it was too late. I was late on payments – car and student loans – and I feel very overwhelmed with the daunting process of repairing and restoring my credit. I need options and help. I feel like a one of those morbidly obese people on Maury Povitch who can’t figure how they got to 860lbs. and feel too far gone to do anything about it now. Except I HAVE to do something about this because I’m disgusted with how out of control everything seems. I am sure I can get you in the right direction. 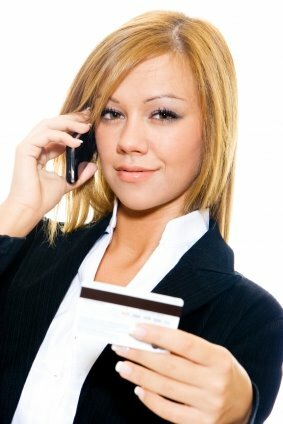 Could you give me some idea what is on your credit report, and what your current situation is ? Thank you so much for responding – and so fast! Okay, here are the gruesome details. Brace yourself, this is going to get ugly. I have 3 negative accounts, my credit card, my car payment, and my student loan which is now in forebearance but was more than 120 days late. I have one account in collections but I paid that account off. I don’t know why it’s still on my credit. I was told they would send a letter to the reporting agency asking them to remove the item from my credit. Is there any hope? Please help. Typically when you have a collection or a slow pay, it will be on your credit report for 7 years from collection date. If a collection company told you that they would remove a collection from the credit report, make sure you get it in wirting. If your 3 negative accounts are in collection, then I would negotiate paying them off for pennies on the dollar.If you dont currrently have any good credit reporting on your credit report, I would recommend gettintg some new credit, this is part of the credit score building process. You typically need a couple credit cards and one other type of loan in place. Here is a good article about collections and the credit rebuilding process. Borrow money from 401k to keep credit good. Keeping your credit report in good standing these days might be tough for some. With people loosing their jobs all over the country due to the real estate sector and energy costs, you might find yourself tapping your savings to pay bills. Most of us are taught to save at least 6 months worth of savings in case of job loss or some sort of emergency. Once you have used up your savings account now what? If you have saved money over the years in a 401k it might be better to borrow against it and pay yourself back with interest. If you have found yourself in financial trouble, going to the bank to get a un-secured loan can be tough and costly. If you have got credit card debt, any financial advisor will tell you to pay off your credit card debt first. The best way to pay off debt or get out of trouble is to borrow it from your 401k and pay yourself back. Ideally you should save up 6 months worth of income in your interest bearing checking account. This checking account could be a money market, or a high yield checking account. With the market not looking attractive currently, banks are offering decent interest rates to put you money in the bank with them. Regardless of your situation we all need to save for a rainy day. If you have a 401k or a savings account, it usually better to borrow from yourself than a bank charging high interest. When that rainy day comes you will have the money to keep your credit score in good standing. Q: How will the law help struggling homeowners keep their homes? A: Through the Federal Housing Administration (FHA), an estimated 400,000 borrowers in danger of losing their homes will be able to refinance into more affordable government-insured mortgages. The program offers government insurance to lenders who voluntarily reduce mortgages for at-risk homeowners to at least 90% of the property’s current value. A: The program will begin on October 1, 2008 and sunset on September 30, 2011. Homeowners in danger of losing their homes before October 1, however, should not wait to contact their loan servicers and should begin applying for federally insured mortgages now. • Have a loan on an owner-occupied principal residence. Investors, speculators, or borrowers who own second homes cannot participate in this program. • Have a monthly mortgage payment greater than at least 31 percent of the borrower’s total monthly income, as of March 1, 2008. • Certify that he or she has not intentionally defaulted on an existing mortgage, and did not obtain the existing loan fraudulently. • Not have been convicted of fraud. Q: How can a homeowner access this new program? A: Homeowners or a servicer of an existing eligible loan need to contact an FHA-approved lender. The FHA-approved lender will determine the size of a loan that a borrower can reasonably repay and that meets the requirements of the program. If the current lender or mortgage holder agrees to write-down the amount of the existing mortgage and make the new loan affordable, the FHA lender will pay off the discounted existing mortgage. Loans provided under this program must be 30-year fixed rate loans. Q: Are lenders required to participate in this program? A: No. The program is completely voluntary for lenders, investors, loan servicers, and borrowers. Q: How does this law help neighborhoods that have been hit by the foreclosure crisis? A: The impact of the current crisis has not been isolated to individual borrowers or investors, but has been felt broadly by neighbors, communities, and governments across the nation. The law strengthens neighborhoods hit hardest by the foreclosure crisis by providing $3.9 billion in Community Development Block Grants to states and localities to buy foreclosed homes standing empty, rehabilitate foreclosed properties, and stabilize the housing market. Q: Will this law be a bailout for speculators, homeowners, investors, and lenders? • Only primary residences are eligible: NO speculators, investment properties, second or third homes will be refinanced. • Investors and lenders must take big losses first in order even to participate. The owner of the old mortgage can get a maximum of 90% of the current value of the home (which presumably will be considerably less than the value of the original loan). In many cases the loss will be significantly greater, but 10% is the minimum. • In addition, lenders must waive any penalties or fees, and help pay for the origination and closing costs of the new loans. 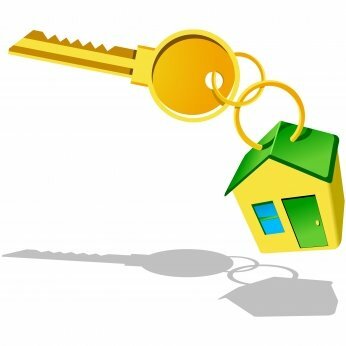 • Most homeowners will have seen the equity in their homes disappear before being able to refinance under this program. In addition, the FHA will get a portion of any future profits on the house, to make sure the government recoups its investment over the long run. Q: Will this law reward families who bought homes they could not afford? A: Many homeowners facing foreclosure were misled, were deceived, or were in other ways the victims of unfair lending practices. To prevent future abuses by lenders, this law will establish a nationwide loan originator licensing and registration system to set minimum standards for all residential mortgage brokers and lenders. It also strengthens mortgage disclosure requirements to help ensure that borrowers understand their mortgage loan terms. Q: How will this law make it more affordable to own a home? • Creates a refundable tax credit for first-time homebuyers that works like an interest-free loan of up to $7,500 (to be paid back over 15 years). • Grants states $11 billion of additional tax-exempt bond authority in 2008 that they can use to refinance subprime loans, make loans to first-time homebuyers and to finance the building of affordable rental housing. • Raises conforming loan limits for the FHA, Fannie Mae and Freddie Mac to $625,500. Because of the high cost of housing in California, a majority of the state’s residents were previously shut out from these programs. Raising these loan limits will lead to lower interest rates on some loans, greater refinancing opportunities, and enable more borrowers in high cost areas to avoid the type of nontraditional and frequently abusive loans that led to the current crisis. • Provides couples using the standard deduction with up to an additional $1,000 deduction for property taxes ($500 for individuals). Q: Does the law provide help to those who still cannot afford to own a home? • The bill creates a new permanent affordable housing trust fund – financed by Fannie Mae and Freddie Mac and not by taxpayers – to fund the construction, maintenance and preservation of affordable rental housing for low and very low-income individuals and families nationwide in both rural and urban areas. • In addition, the legislation provides a temporary increase in the Low-Income Housing Tax Credit and simplification of the credit to help put builders to work to create new options for families seeking affordable housing alternatives. Now is the time to order your free credit report – the one that shows your FICO score at each of the 3 major credit bureaus. Get it, study it, and then get busy working to get it all the way to the top. Why? Because if you’re at all interested in becoming a real estate investor, the coming months will present the opportunity of a lifetime. After being in real estate sales for 19 years, I can tell you that any time a market has a large number of repossessed properties on the market, you’ll find bargains. To begin with, those REO Officers can’t afford to keep those properties on the books. In fact, there’s some kind of regulation that requires them to do all in their power to get them sold within just a few months. So in a tough market, when homes are not selling quickly, those properties will continue to drop in price just about monthly. But that’s not all. When faced with the competition of these lesser-priced repo homes, the others have to follow suit or they’ll sit there unsold. Thus, the entire inventory of homes begins to fall in price. I saw this happen over and over again, and that was during “normal” times. Now, with one in every 171 homes going into foreclosure during the second quarter of this year, the impact has to be even greater. You, as a would-be real estate tycoon, stand to profit if your FICO scores are high enough. You can purchase one to live in and that will carry the lowest interest rate. For the others you’ll have to admit that you’re buying rental properties, but with a stellar score, even those rates will be favorable. Stay away from the luxury homes. 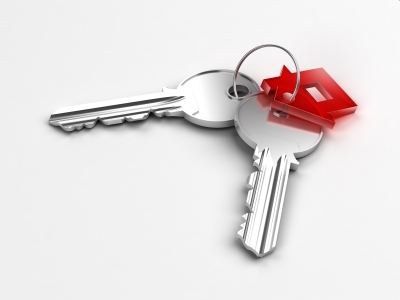 Focus instead on homes that can easily be rented to mid-range tenants. If you’re daring, focus on homes for lower income tenants as well. If the homes can be brought up to government standards, you can take part in programs that guarantee your rent and will even pay for repairs if your tenants damage the house. Of course you should look for homes that are structurally sound and just need new paint and other cosmetic touches. Look past the dirt and the abandoned belongings, and see the profit that can be yours with a bit of hard work and a bucket of sudsy water. I suppose I shouldn’t assume that repo homes will be dirty – but I listed dozens of them and only 2 had been cleaned when the owners moved out. The others were filthy. I don’t think I’ll ever forget walking into a house and finding a loaf of green bread in the middle of the living room floor. Learning what’s in your credit report is the first step. The second is to raise your credit score as high as possible, and the third is to keep your eyes wide open for opportunities. Yes, you could, and unless you check your credit report often, you might not even know it until the next time you need credit. A smart identity thief will operate in ways that you won’t notice right away. First, he’ll pretend that you’ve moved to a different community. Then he’ll apply for new credit cards and perhaps even purchase a house or a car. He may actually pay the payments for a little while to keep your credit in good standing until he’s gotten what he wants and/or moved on to a new victim. If this is happening, the only way you’d know is by checking your credit report. When you get it, look for discrepancies in your address and look for new accounts that have been opened. If you find them, contact the credit bureau at once and let them know those weren’t your transactions – and see what they can do to trace the origin. The better your credit, the bigger risk of becoming a victim you face. It happened to a friend of mine – she and her husband are both doctors with a sizeable income. They don’t need to use credit often, so had not checked their credit report in years. One day she called in a panic, telling me that someone in California was using accounts in her name and she was faced with a mountain of red tape to get it straightened out. Apparently they had decided to use credit for a major purchase, and had been turned down due to the number of unpaid accounts in her name. She, being a person who is understandably proud of her station in life, was devastated. The idea of people thinking she didn’t pay her bills was almost more than she could bear. This had been going on for quite a long time, so the accounts were many months past due. Had she ordered a free credit report and periodic updates, she would have known. She could then have stopped it before she had to deal with such a large number of accounts – and before she suffered such embarrassment. Remember, while the internet is a wonderful tool for honest people, it’s also a handy tool for the dishonest. With the right skills to access it, your personal information – including your social security number, date of birth, occupation, and much more – is available on line. No one is safe, but those with the highest FICO scores and highest income are most at risk. After all, when an identity thief uses your name, he or she wants an easy time of obtaining credit.